Data from CBC's voter engagement survey is beginning to provide insight into the minds of Ontarians less than one month before the election. 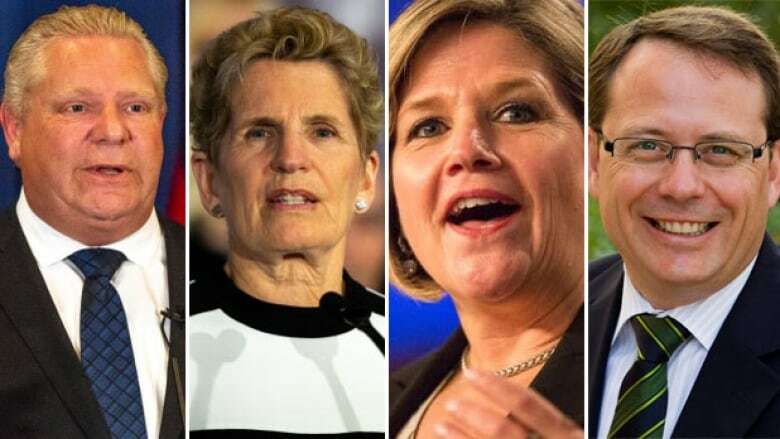 Ontarians resoundingly say the most important issue in the spring election campaign is the economy, with health care coming second, according to recent results from Vote Compass, CBC's online voter engagement survey. During the last provincial election in 2014, voters similarly ranked the economy as their top concern, but education trumped health care in their minds. The findings come just days after the official start of the campaign season. CBC News will continue to update the results as more voters take the survey. In each of the charts below, the bottom axis represents percentages. This chart shows the overall percentage of 12,637 respondents who listed each category as their top issue. Economy, health care and education are "always, always, always at the top," said Charles Breton, research director at Vox Pop Labs, which created Vote Compass. During the survey, respondents are given an opportunity to answer the open questions, "What issue is most important to you in this election?" Of the 12,637 people who answered from May 8 to May 11, 24.2 per cent said the economy was their top issue. Health care was second with 13.6 per cent, and education was third with 8.3 per cent. Researchers use software that filters key terms in responses to categorize answers. The environment — an issue that has not been prominently mentioned in this campaign — was a close fourth, with 8.31 per cent. A comparison of Vote Compass results from 2014 to those from 2018 so far. Earlier this week, the executive director of Environmental Defence, Tim Gray, told CBC News that the environment is increasingly becoming a "vote determiner" as the electorate comes to better appreciate the risks that climate change poses for the future. Interestingly, Breton points out, the early data suggests that "the economy is more important to Conservative voters than the environment" is to those who said they intend to vote for the Ontario Green Party. One way to look at that result, he explains, is that the Progressive Conservatives have been laser-focused on economic issues during the campaign, despite signs that Ontario's economy is doing pretty well. Therefore, many Tory-identified voters who answered the question used terms that were filtered into the economy category. Here are the results broken down by age demographic. Further, the older and wealthier a respondent was, the more likely they were to say that the economy was their number one issue. Meanwhile, among those who ranked health care as their top issue, the largest portion earn less than $60,000 per year. Charles Breton points out that this chart suggests the economy is more important to PC voters than the environment is to Green party voters. "All regions see the economy has the most important issue, except Toronto itself. Not the GTA, but the City of Toronto," he said. "There — as we might expect — it's housing and transportation that are the main issues. And those are even on par with the economy." The team at Vox Pop Labs split the province into seven regions. Developed by a team of social and statistical scientists from Vox Pop Labs, Vote Compass is a civic engagement application offered in Ontario exclusively by CBC-SRC. The findings are based on 12,637 respondents who participated in Vote Compass and answered the "Most important issue" open question from May 08, 2018 to May 11, 2018. Unlike online opinion polls, respondents to Vote Compass are not pre-selected. Similar to opinion polls, however, the data are a non-random sample from the population and have been weighted in order to approximate a representative sample. Vote Compass data have been weighted by gender, age, education and country of birth to ensure the sample's composition reflects that of the actual population of Ontario according to census data and other population estimates.